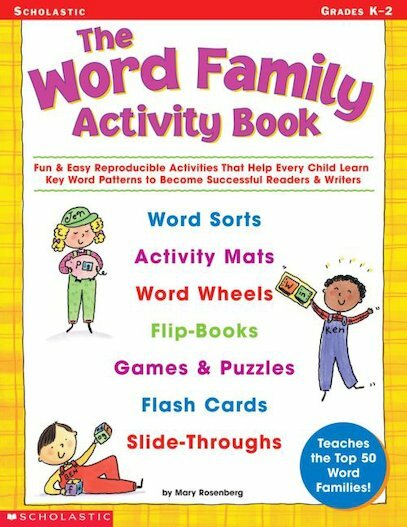 Teach the top 50 word families and watch kids become better readers, writers, and spellers with this big collection of reproducible games and activities. This teacher written resource is packed with ready-to-go reproducibles and interactive word wheels, pull-thoughs, flip-books, mini-puzzles, spinners, concentration cards, bingo boards, and more. Learning word families has never been so much fun! For use with Grades K-2.